Dental implants are a permanent replacement for natural teeth that are missing or that must be replaced. 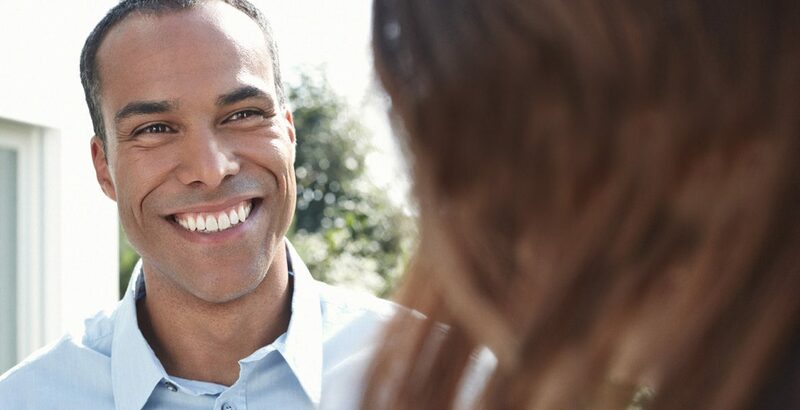 Implants can replace one tooth or several teeth, or even to support a full denture. These implants are designed to provide the implant-supported teeth with a similar appearance to other natural teeth. Once complete integration is achieved, the implants can be used as a strong foundation for any teeth or dentures. 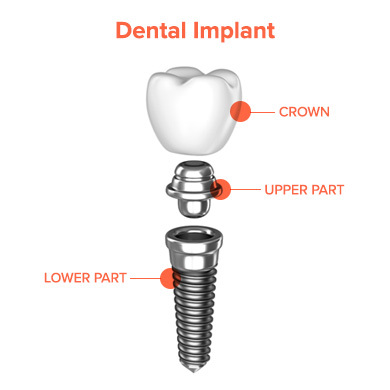 The implants are made to two parts, the lower part is inserted into the jaw and the upper part will host the crown. The initial phase of the dental implant placement consists in the integration of the implant into the jaw bone. A recovery time is necessary to let the implant fuse to the jaw bone. During this period of time, it becomes important to avoid certain habits that can harm the healing. Many factors can influence the success rate such as smoking, certain medications, comorbidities, etc. On the other hand, the success rate of dental implants remains high. Depending on where the implants are placed, it will integrate in about 98% of the time. The second phase consist in the installation of the crown. The crown is custom-produced in order to fit perfectly to the other teeth in shape and shade. There are many advantages to use dental implants over other traditional options. Traditional bridgework requires that the teeth adjacent to the gap be shaved down. This damage to the teeth is irreversible. In addition, removing a denture at night to rest the gums, is inconvenient, not to mention that dentures can be uncomfortable. Oui, je parle français. We also speak English, Portuguese, Spanish and Croatian. Dr Martin Cloutier at Aspen Oral and Maxillofacial Surgery Proudly Offers the Following Oral Surgery Services: Dental Implants, Wisdom Teeth, Extractions, Bone Grafting, Sinus Lifts, Facial Trauma, Oral Pathology, Impacted Canines, BOTOX®, 3D Imaging, Teeth-in-an-Hour, Ridge Augmentation. Serving Oakville and the Following Cities: Burlington, Mississauga, Milton, Georgetown, Brampton, Waterdown and Hamilton.